There's not enough well produced documentaries about video games. The medium has a history that goes back farther than you think, and there are hundreds of stories waiting to be told. These stories and experiences can be inspirational, enlightening, and uplifting. It's always a positive benefit to be more aware of the history of something you are passionate about, to help give you a different perspective or more knowledge than what you have. I love watching documentaries, so whenever I hear about a new documentary involving video games, I immediately try to watch it. 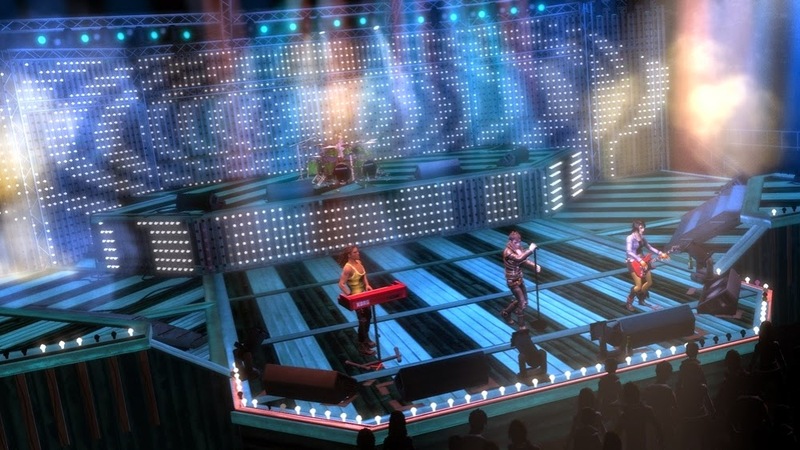 This Fall, the now defunct Xbox studios' Atari: Game Over is set to be released over Xbox Live and other digital outlets. It tells the story of the E.T. game made for the Atari 2600, and how it was such a colossal failure it pretty much tanked the company, resulting in all cartridges being buried in a landfill. It's the first documentary that is funded by a major gaming company, and the first to be distributed on a gaming platform. The documentary started out as an independently produced film, but I guess some people in Microsoft were so passionate about the project they decided to give them some support. The story of the E.T. 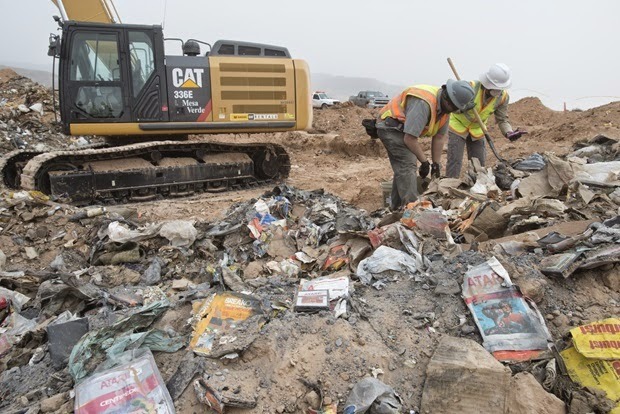 cartridges buried in a New Mexico landfill has become something of an urban legend in gaming, because no one ever had any proof that it actually happened. The documentary not only will reveal that it did, but go into more detail as to how this game even came to existence. It's great that films like this exist, because it tells a story we might not fully understand how and why it happened. In anticipation of the Atari: Game Over documentary, here is a list of video game documentaries I have personally seen and love, and are definitely something you need to watch, whether you think you know the stories that inspire these films or not. Yesterday Mario Kart 8 DLC was "finally" announced on the Nintendo UK eShop page. I say "finally" because we all knew this was coming. I bought Mario Kart 8 #dayone, and everyone I know has asked me if I think there will be DLC for Mario Kart 8. "Of course" I would say, "why wouldn't they?" "Because they hate money" or "Nintendo does things backwards" was usually the response I got, or something else along those lines. "Mario Kart 8's DLC is So Gross" screams the headline of a article published by Kotaku at the beginning of the month. I wonder if Kotaku will publish a more positive headline about the proper Mario Kart 8 DLC, now that it's been announced. I won't hold my breath, when it comes to DLC, Nintendo, Mario, and video games in general websites and anonymous commentators are quick to publicize how bad, terrible, lame, or gross something is. But when something amazing is announced, something that no one thought would actually happen or is better than what we could have dreamed, it's business as usual and they keep the visible excitement minimal, or non existent. Most of the headlines you saw about the announcement were simple ones, like "Link, F-Zero and Animal Crossing are coming to Mario Kart 8 as DLC" or something similar. Very by the books. As if this is nothing out of the ordinary. 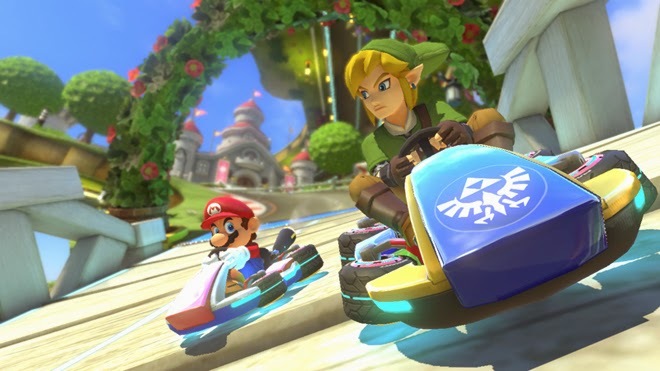 Ummmm......guys, LINK IS GOING TO BE IN FREAKING MARIO KART! Not only that, but Animal Crossing characters, Nintendo themed levels from Zelda, Animal Crossing, F-Zero and more! Also Captain Falcon's racer is going to be in the game! F-Zero meets Mario Kart!!! There should be more headlines that read like this: "Mario Kart 8 DLC announced is the best thing ever and the best is yet to come wow Nintendo is actually making dreams come true right now!!!" Yesterday I wrote about adding the Zelda Three Heart Challenge to my Bucket List. In the past three months, I've written quite a few posts about The Legend of Zelda series. I love those games and I always say it's one of my favorite franchises in gaming. It's a series I've been familiar with as a kid way back on the NES, having played the original Zelda as well as The Adventure of Link. Like everyone else I love Ocarina of Time, adored the latest entry A Link Between Worlds, and cherished the moment when I finally beat Wind Waker, eleven years later. I would call myself a fan. I mean, I have the Hyrule Historia, so that makes me a pretty legit fan of the series right? Here's the thing: those three games I just listed, are the only Zelda games I've beaten. That's right. 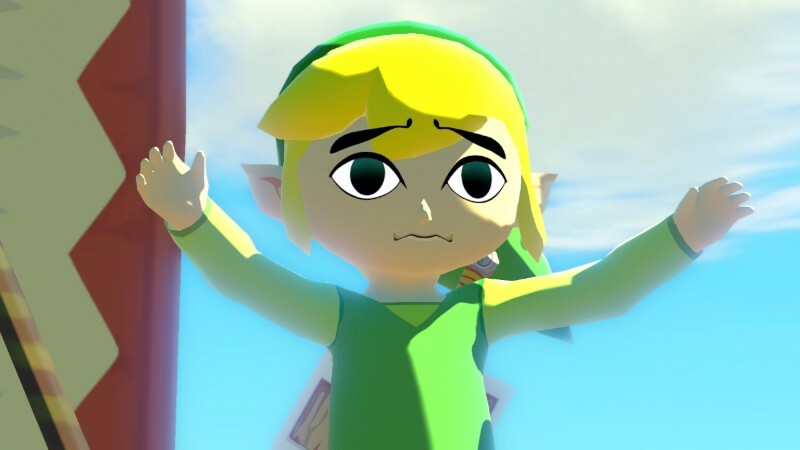 Out of twenty plus games, the twenty five plus years of history, I have only played three Zelda games to completion. Like everyone else, I flipped when I saw the Wii U Zelda, and instantly raved about how great it was gonna be. But how should I know? I've only played three Zelda games long enough to finish them. In fact, there are several Zelda games I haven't played at all! It's something I'm pretty ashamed about. It's like saying your favorite food is Sushi, but when you go out to a restaurant you order the same 4-5 rolls every time (guilty of that too). I know I probably shouldn't really be too ashamed of this "secret". Your knowledge and experience with a particular piece of media/art/entertainment doesn't equate to how big of a fan you are. You can call yourself a Doctor Who fan and only have watched Matt Smith, no one is going to (or should) deny you your fandom. But considering that I've only beaten three Zelda games in my life (and two of those I completed within the past year!) I feel I need to explore why I never did beat/play most of the Zelda games, yet I still hail the series as one of the greatest of all time. While reading a recent Kotaku article about making old games feel new again, I was inspired to add one of their recommendations to my Bucket List: The Zelda Three Heart Challenge. If you don't know what it is, there is a brief summary on the Zelda wiki here. It's pretty much what it sounds like: you play through your Zelda game of choice, without grabbing extra heart pieces or containers. It's a fun, creative way to add challenge to any Zelda game, and something every fan (including myself) should try at least once. I've played Ocarina of Time on multiple occasions, and 100% completed it almost every play-through. 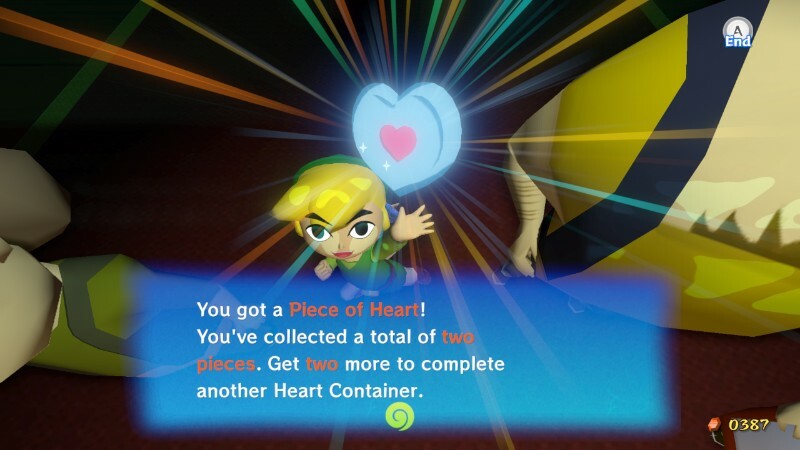 I heard about the Three Heart Challenge a few years back, and what fascinates me the most about it is how it offers a different experience than 100% completing a Zelda game. If you collected all the Gold Skulltulla's in Ocarina, chances are someone else did that too almost exactly the same way you did. Finding all the bottles, heart containers, etc. is pretty standard stuff and we've all shared similiar experiences in achieving that goal. But a Three Heart Challenge pretty much guarantees your play-through won't be similar to your friends, or any one else's. ...but I didn't! I was kind of scared for a moment, but now those few seconds are gone and I will never get them back. Why live my life in fear of when I might die, or (even worse) live to regret the things I never tried to do? That's why it's important to set goals for yourself, both long term and short. We don't know how much time we have to live, so we should try to make our time here as enjoyable as we possibly can, by pushing ourselves to achieve or pursue our dreams. Some goals are simple like "I wanna lose 5 pounds" or "save $1000 by the end of the year". These are tangible, realistic goals that with a little planning and dedication, can be achieved. Other goals like, "learn to play the piano" or "beat my best half marathon time" require a more long term investment and cannot be achieved without lots of hard work or practice. These are goals, and they shouldn't be confused with what's on your bucket list. What's on your bucket list should be things you achieve outside your daily routine or something you might only be able to experience once in your lifetime. Visiting Japan, is on my real life bucket list. As is going to Wrestlemania. But what about my video game bucket list? What do I want to experience at least once in my life in the world of video games!?!? Monday night I officially launched my Twitch.tv channel. What made the stream official is I didn't put the words "test stream" in the title of the broadcast. Last week I purchased the Elgato Game Capture HD device, and wrote about my aspirations of becoming a broadcaster on Twitch. Since getting the Elgato, I've been testing almost every night; messing with the video quality, settings, audio, etc. The Elgato is a fantastic piece of hardware, is easy to use, and did most of the heavy lifting for me. After tweaking a few things, I figured I was ready to begin broadcasting for realz. Of course, no launch is perfect and my first stream wasn't without it's issues. Towards the end of the stream I lost connection to Twitch, even though my Elgato program said I was still connected. I didn't have that problem during my tests. Also I realized after the stream was over, that the title was of the last test stream test I did, and it still had the previous game name, even though I changed it. Hopefully I can avoid that mistake the next time I go live. Other than that the audio came through fine, the video quality was fantastic, and I was able to showcase my awesome skills playing WCW/nWo Revenge. I always wanted to broadcast the series of N64 wrestling games developed by Asmik Ace and AKI Corporation and published by the defunct THQ. These games include WCW/nWo Revenge, WWF No Mercy, Virtual Pro Wrestling 2, and a few others. In my opinion they were/are the best wrestling games ever made. I invested thousands of hours into these games, and I feel like I play them at a high level. What better way to introduce myself to the Twitch.tv world than by showcasing my mad wrestling game skills. Naturally, the first match I play, on the highest difficulty setting, I LOSE! EPIC FAIL!! !